As of recently, Samsung has taken the interesting approach of testing out their most “bleeding-edge” features on their midrange devices. 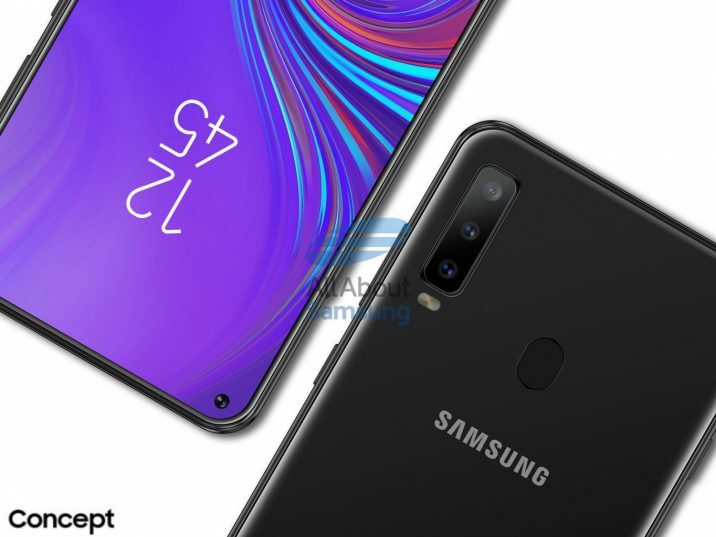 We’ve recently seen the Samsung Galaxy A7 (2018), a device that features a triple rear camera setup, in the same fashion as the Huawei Mate 20 Pro, the LG V40 ThinQ, and other devices. Then, we saw the Samsung Galaxy A9 (2018), which brings the camera bar even higher, introducing a quad rear camera setup. These two devices remain, so far, as the only Samsung devices with more than 2 cameras. But Samsung’s upcoming innovations aren’t just limited to the cameras. At this year’s Samsung Developer Conference we got to know their new display technologies, and we may be getting a glimpse at one of them with the upcoming Samsung Galaxy A8s. Samsung introduced 4 new display technologies on stage, including the Infinity-U display (with a teardrop notch), the Infinity-V display (with a V-shaped notch), the Infinity-O display (with a cornered display hole) and the New Infinity display (with under-screen sensors). If rumors are true, then the upcoming Samsung Galaxy A8s will be the first Samsung device to feature the Infinity-O configuration with a display hole for the front-facing camera. Said display hole would allow Samsung to remove the top bezel entirely and make room for a 6.39-inch 19.5:9 FHD+ display manufactured by BOE. Said display is rumored to be an LCD, which is strange given Samsung’s commitment to Super AMOLED for everything, even lower-end phones. 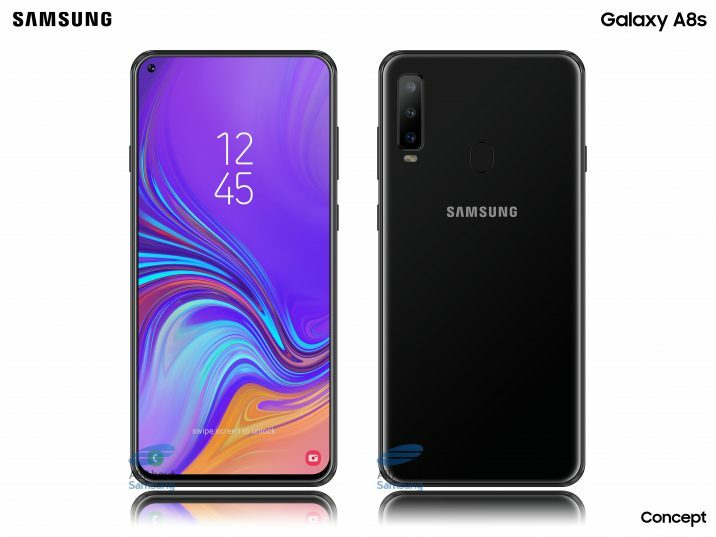 The Galaxy A8s as per an AllAboutSamsung.de concept render based on rumors. As for the rest of the specifications, we have a Qualcomm Snapdragon 710 processor under the hood, coupled with 6 GB of RAM and 128 GB of storage. It keeps a similar camera setup to the Galaxy A7, and the front-facing camera inside the display hole is 24MP with a 6.4mm diameter. Unfortunately, we haven’t seen any official renders leak, and what we’re seeing floating around the internet are simple concepts. The device is expected to be announced in January 2019, and given that the Galaxy S10 line of smartphones is expected to have Infinity-O displays, it’s quite possible we’ll be seeing it first on a mid-range device.